'Science, Technology, and Society' - STS - has become a major educational theme. There are many courses in schools, universities and other institutions, dealing with all sorts of topics such as the history of science, energy policy, industrial innovation, technology assessment, Third World development, scientific method, and so on. 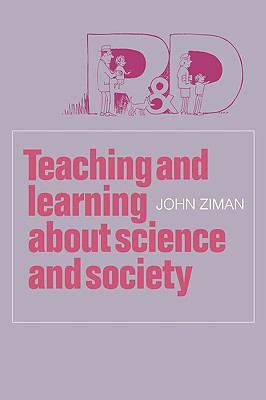 But what is this subject really about?Ziman, John M. is the author of 'Teaching and Learning About Science and Society', published 1980 under ISBN 9780521232210 and ISBN 052123221X. Loading marketplace prices 121 copies from $6.63 How does the rental process work?